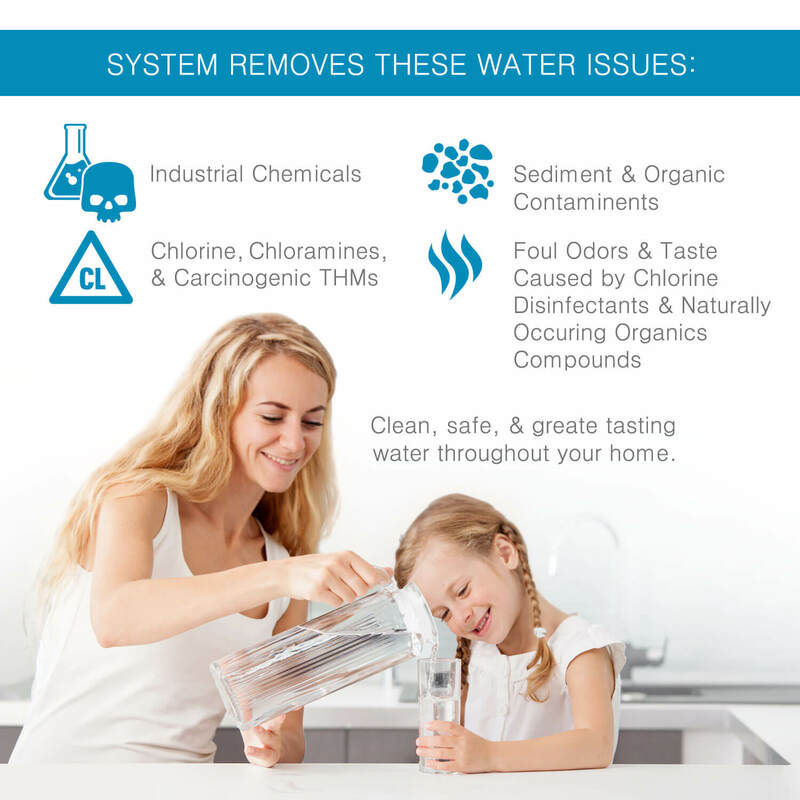 Insures your family is drinking, cooking and bathing in fluoride-free water. Fluorides are chemical compounds that combine the element fluorine with another substance, usually a metal. Examples include sodium fluoride, stannous fluoride, and fluoride monofluorophosphate (MFP fluoride). Some fluorides are naturally found in the air, soil and water, although the levels of fluoride can vary widely across the country. Just about all water has some level of natural fluoride. Once inside the body, fluorides are absorbed into the bloodstream through the digestive tract. Fluorides travel through blood and concentrate in areas high in calcium, such as the bones and teeth. The major sources of fluoride for most people are tap water, foods and beverages made with fluoride-treated water and fluoride-containing dental products (toothpastes, mouth rinses, etc.). Fluoridation of tap water started in some parts of the United States in 1945, after scientists noticed that people living in areas with higher water fluoride levels had fewer cavities. In 1962, the United States Public Health Service (PHS) recommended that public water supplies be treated with fluoride to help prevent tooth decay. 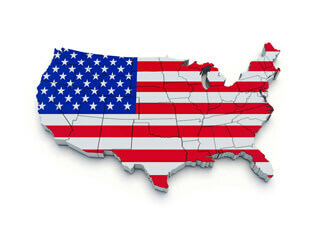 Fluoride is now used in the public drinking water supplied to about 3 out of 4 Americans. Water is fluoridated in 29 of the 30 largest cities. The types of fluoride added to water treatment systems include fluorosilicic acid, sodium fluorosilicate, and sodium fluoride. There has always been controversy about the health risks of fluoride. There are reported studies suggesting that high levels of fluoride in drinking water resulted in children with lower IQs. Excess fluoride exposure causes dental fluorosis, which makes white streaks on teeth. In severe cases it can cause brown stains, pits and broken enamel. According to the Centers for Disease Control (CDC), as of 2010, 41 percent of children ages 12 to 15 had some form of dental fluorosis. Fluoride suppresses the thyroid, especially when there is iodine deficiency. Many people have concluded it is safer to simply remove fluoride from their tap water and reduce the risk of fluoride-related health concerns. 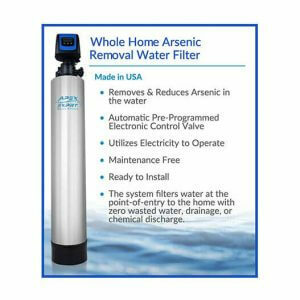 The APEX Whole Home Fluoride Removal Water Filter removes natural and man-made fluoride along with arsenic with a special filter media called DI-tech Activated Alumina. This unique filter media is a high-purity adsorption material approved for purifying drinking water. As fluoride-containing water flows through the bed of activated aluminum oxide, the fluoride is adsorbed onto the porous surface. 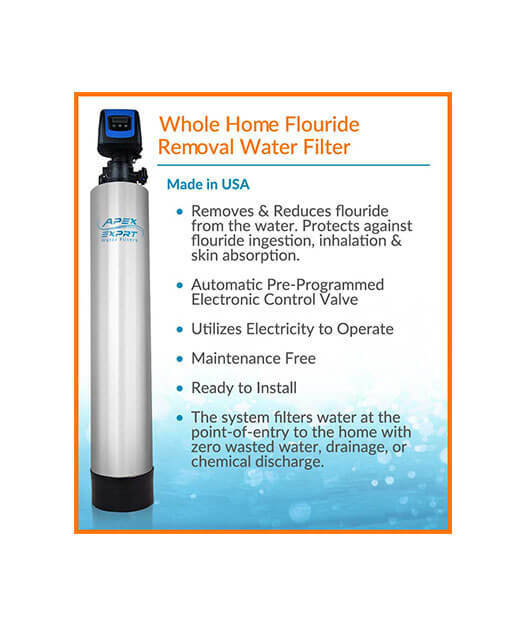 Water passing through the APEX Whole House Fluoride Removal Water Filter is free of fluoride contamination. Every faucet and shower will provide safe, fluoride-free water. 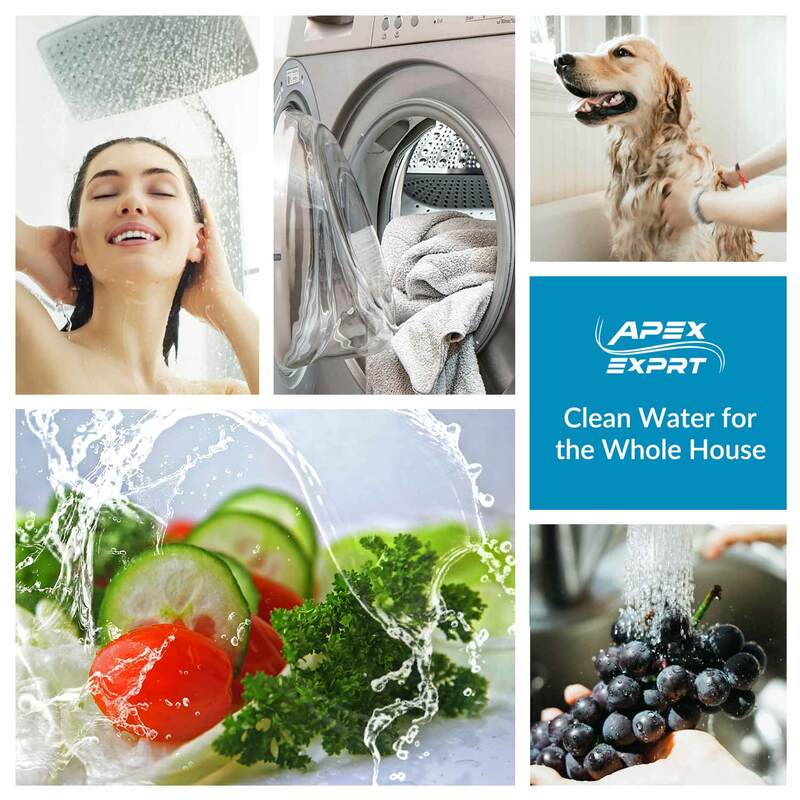 The APEX Whole House Fluoride Removal Water Filter is built in our US manufacturing facility. 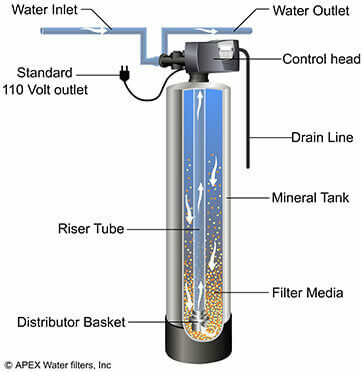 The APEX filter uses a large capacity media tank with a Fleck electronic control valve. The Fleck electronic control valve automatically monitors and regulates the backwashing of the filter system. The electronic control valve automatically backwashes and cleans the aluminum oxide filter media based on water usage. 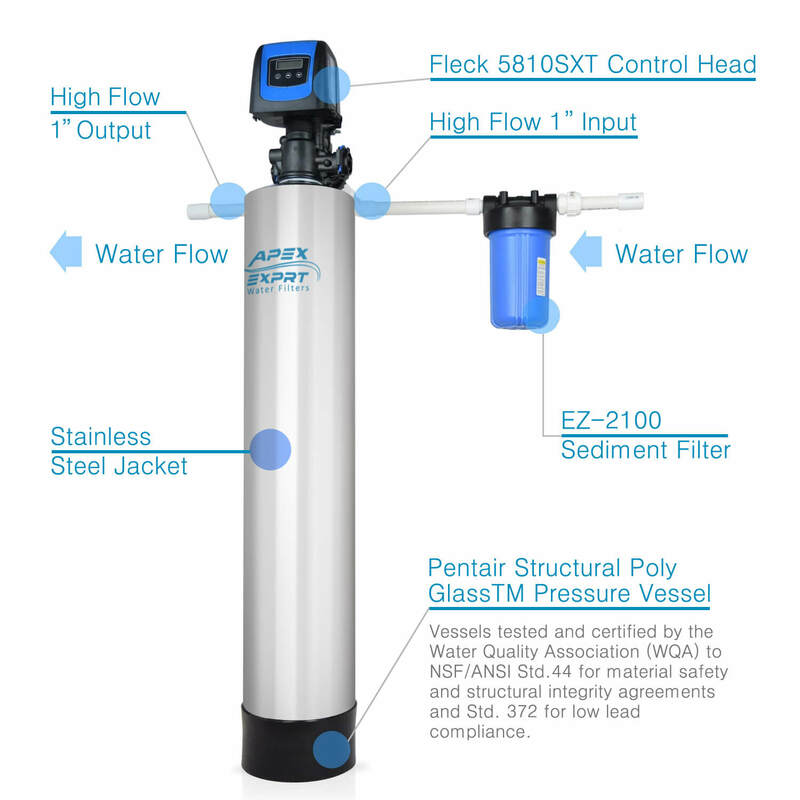 This keeps the filter system working at properly for your peace of mind. The key pads and digital display make the filter system quick and easy to set up. The Fleck controller is an industrial-grade control valve that will provide years of trouble-free service in the home, office or business operation. ** Does not include operating space requirements. *** Treatment ability of the system is dependent on feed water quality.Performance projections must be run for each installation. + High pH (above 8.2) and bi-carbonate alkalinity (above 50 ppm) reduces activated alumina capacity. Pre-treating the feed water with a salt regenerated strong base anion (SBA) resin (a dealkalizer) will both reduce the pH AND the alkalinity. Water pressure can cause leaks and damage the surrounding building or fixtures if not properly installed. User must check all fittings for tightness. APEX assumes no responsibility for water damage due to leaks. 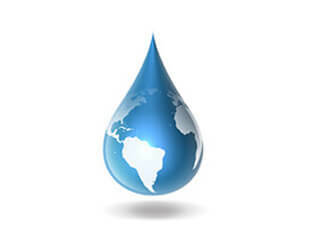 Send us a comprehensive water quality analysis of your private well for a customized solution. 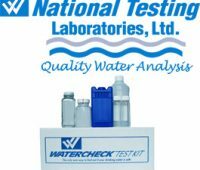 Order Watercheck with Pesticide Option from National Testing Laboratories, Ltd. Enjoy Crisp Clean Refreshing Drinking Water for Your Healthy Lifestyle. 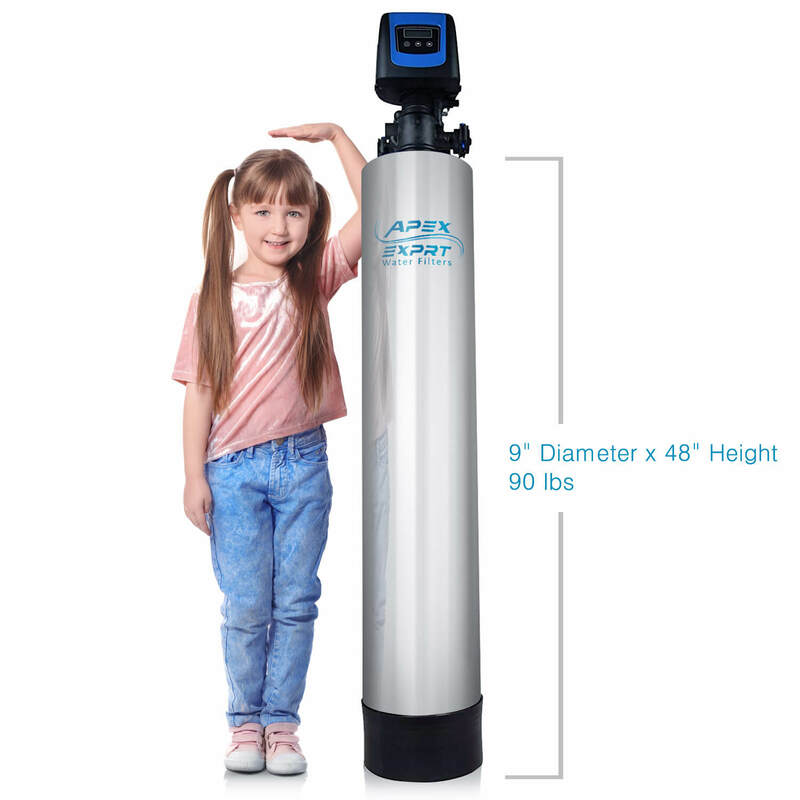 When you choose an APEX water filter, you’ll get the absolute best water filter system for your needs from a company that values your business and will go above and beyond to ensure your full satisfaction. 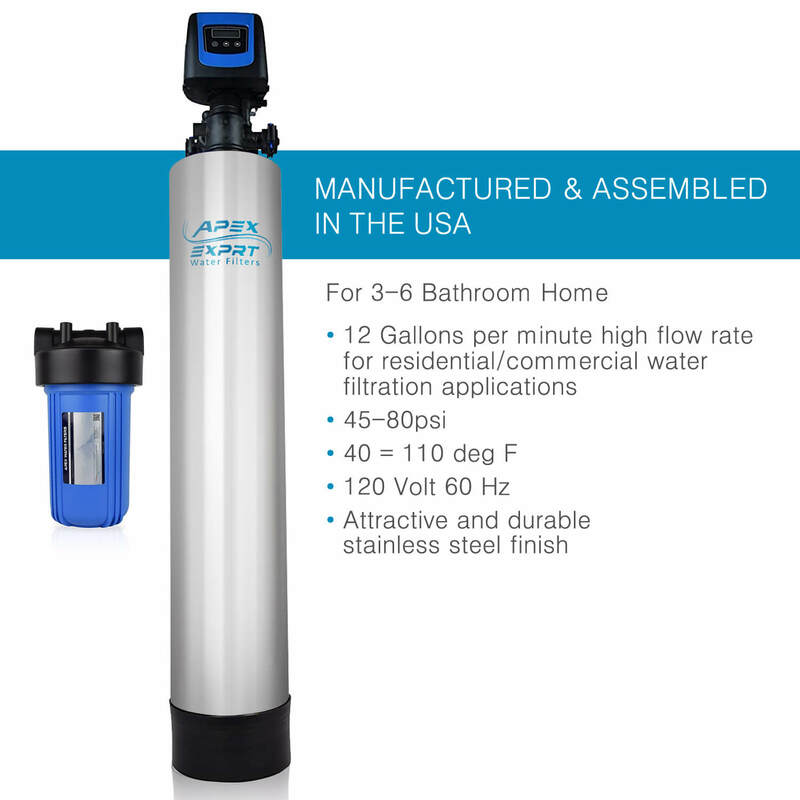 Not only can you feel good knowing that APEX Water Filters gives Americans good-paying jobs, but you can also be certain that we carefully monitor each step in the manufacturing process because we produce our filtration systems locally. 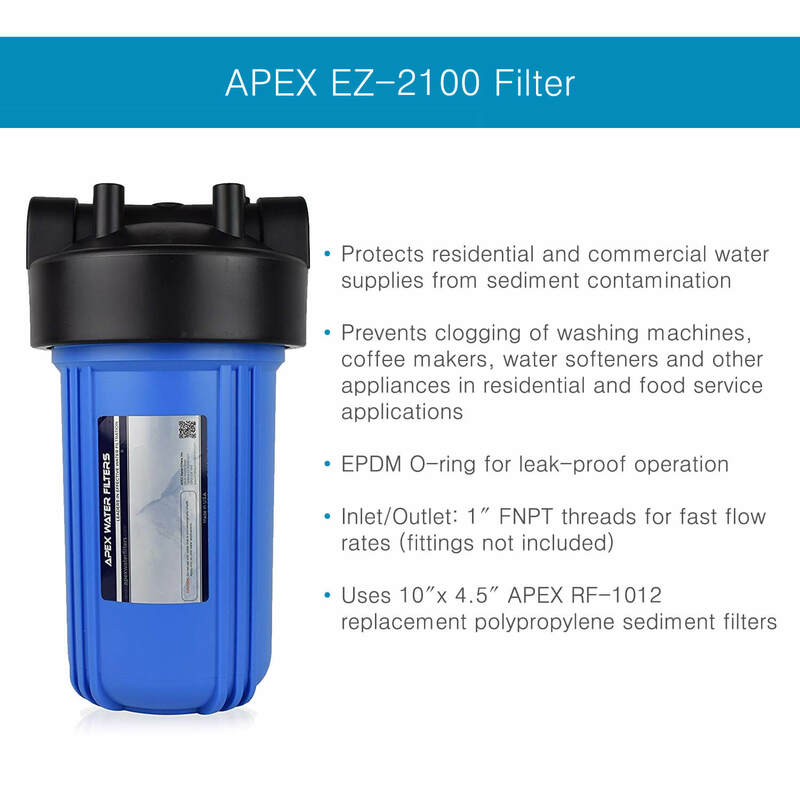 If for any reason you’re not completely satisfied with an APEX Water Filter, we’ll replace it or refund the purchase price–no questions asked. 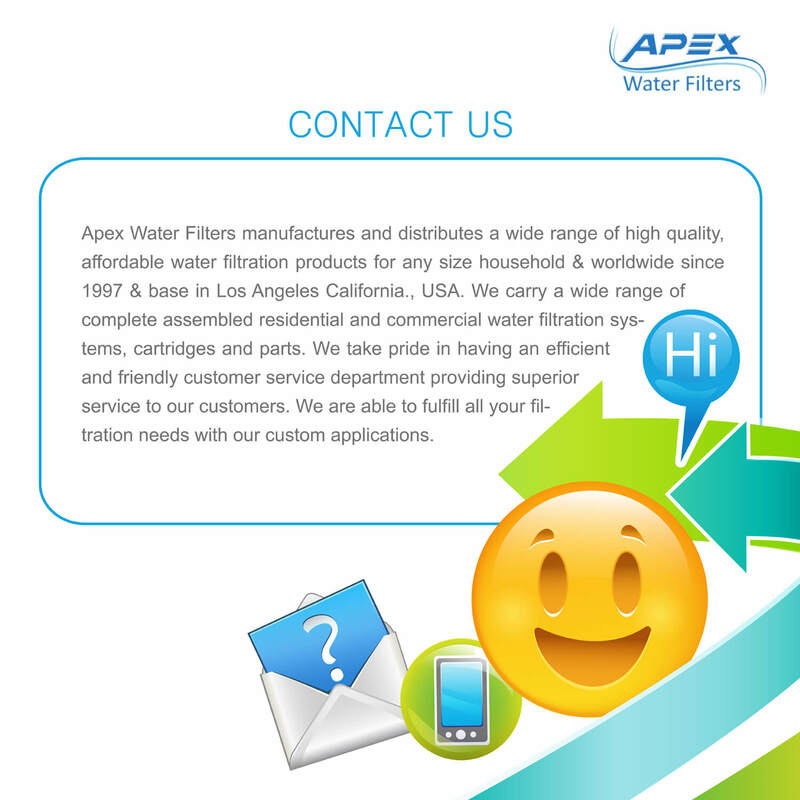 At APEX Water Filters, we believe that the best water filters start with the best materials. 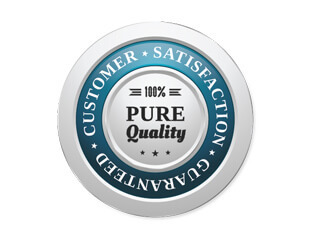 That’s why we only use carbon that is certified by the National Safety Foundation and components that are approved by the U.S. Food and Drug Administration. Before a water filtration system leaves our facility, we test it to ensure that it meets our high quality standards. 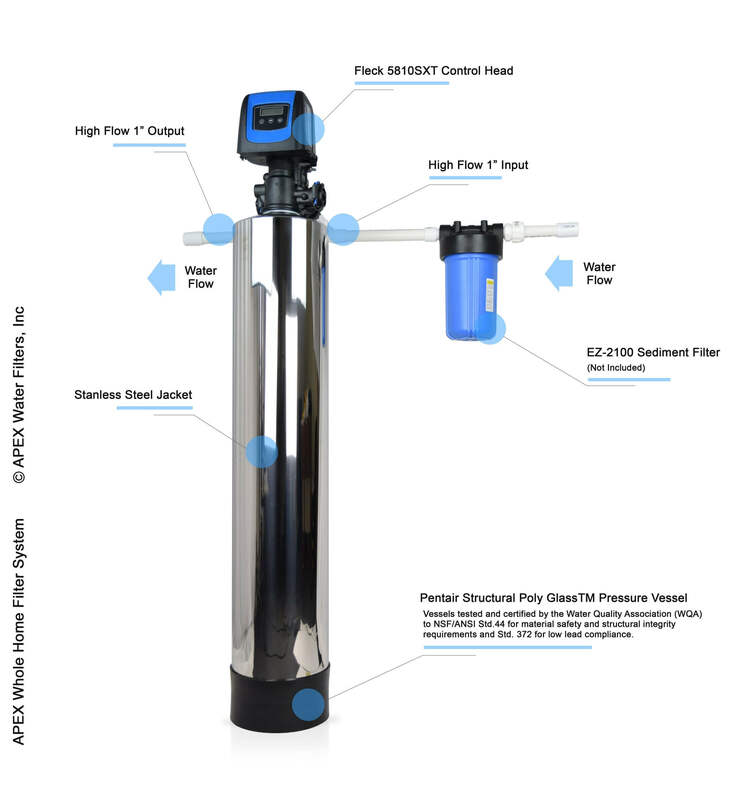 This extra step ensures that you receive a filtration system in the best possible condition.